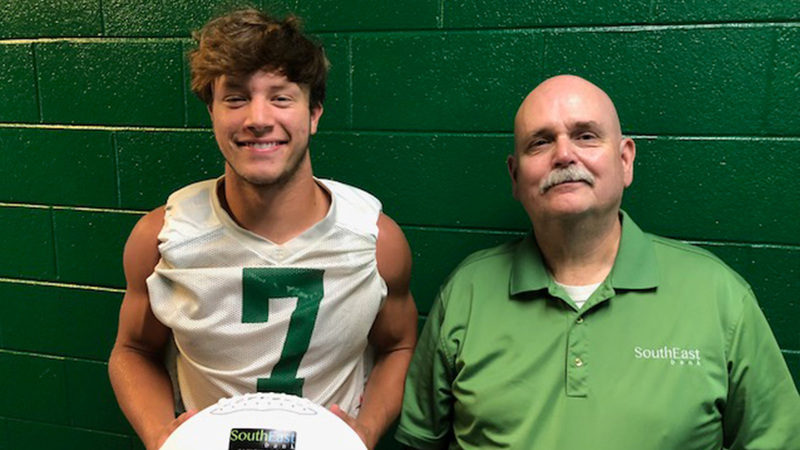 This week’s SouthEast Bank Player of the Week is senior QB Zack Pemberton who rushed for three touchdowns and passed for one in the Golden Eagles’ 35-13 win over the Brainerd Panthers. The Golden Eagles’ new Triple Eagle Option offense combined for 442 yards (322 rushing, 63 passing). Zack rushed for 126 yards and targeted fellow senior Aulbrey Smith for a 39-yard touchdown strike. 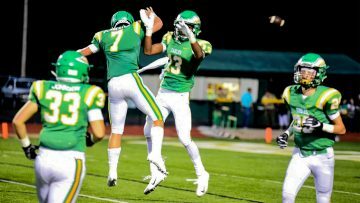 The win sends Rhea County into Week Three’s district opener at home against Walker Valley with a 1-0 record.